Hey, social media user! I bet you’ve been hating on Instagram ever since they changed their feed to no longer display in chronological order. It’s been hard going for influencers and small businesses who don’t have a massive following already to grow their accounts, and that has had a negative effect on business. Instagrammers have been up in arms, but with no hint in sight that Instagram have any plans to change things back to the way they were, here’s a handful of tips that can help you grow despite the platform’s strange change – without paying a fortune on ads. If you enjoy this post, please give it a share! Never underestimate the power of hashtags on Instagram. You can use a maximum of 30 per post, and I suggest you do! Using the right hashtags on Instagram is the most efficient way to create growth and engagement on your profile. They’ll let your posts show up outwith your followers’ feeds, and into the main search results pages. Think of hashtags like SEO for your image. We know we need strong keywords for SEO for our blogs and websites in order for people to be able to find us online. Hashtags are, basically, keywords that allow your posts to be found. With the algorithm changes, it can be hard to reach your customers right away, but your post can still become popular if it’s getting likes and comments by appearing in the search results. Use a mix of popular and less popular hashtags can help get your image the initial boost it needs to be able to appear on your followers feeds and ensure you reach all the right people! As with any content you publish online, everything you share should be well considered, purposeful and useful. Working out a schedule for sharing your posts will not only keep you in a routine, but it will also let your followers know when they can expect content from you! Take images in bulk and upload them spaced out over time – it’ll help you with your theme and create a sense of cohesiveness, but it will also ensure you’re posting regularly and often. Use a tool like Tailwind – it not only lets you choose the suitable hashtags for your image but also lets you schedule in advance. It even posts the image directly to your feed – completely automatically! 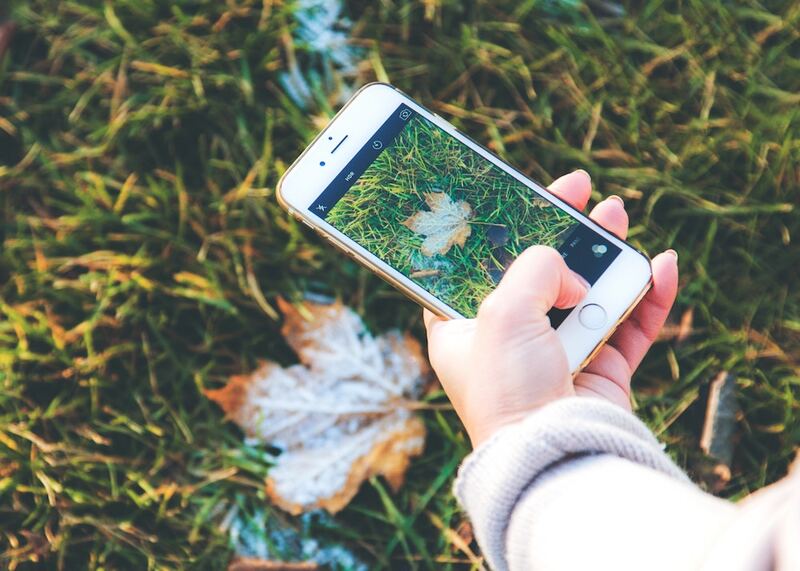 Stories are still chronological (though lets pray that Instagram doesn’t copy Snapchat’s latest story-crushing update) – so use them regularly to share content, meet + greet with your followers and draw attention to yourself! You can let people know of any exciting products, launches, blog posts or even Instagram posts you have to share, and kindly suggest they check them out. Instagram stories are great because if you’ve not been appearing in someone’s feed it’ll remind them you exist, and by letting some of your personality shine through in your stories they’ll remember why they followed you and hopefully check you out again! It’s just a different way of connecting with your audience on Instagram. Following on from that, don’t forget to connect with your community. Like their posts, leave comments, ask questions and, probably most importantly, share their content with the world. Instagram pods can be a fantastic way to meet new people and get the ball rolling with some initial engagement (though, use pods with caution: make sure you don’t confuse pod activity with growth!). Your caption doesn’t just have to be a description of your image – try to spark some engagement by asking questions or providing some useful insight into a topic that relates. Be informative, helpful and friendly, and your followers will see you as someone who is worth engaging with and approaching! Don’t forget to share your Instagram account on your website or blog, on your Twitter and Facebook page, and anywhere else you have a following. Just because someone is a follower on Twitter doesn’t mean they’re following you on Instagram, and vice versa! Use your social accounts to promote yourself and your content, and ensure you are reaching your audience everywhere possible. 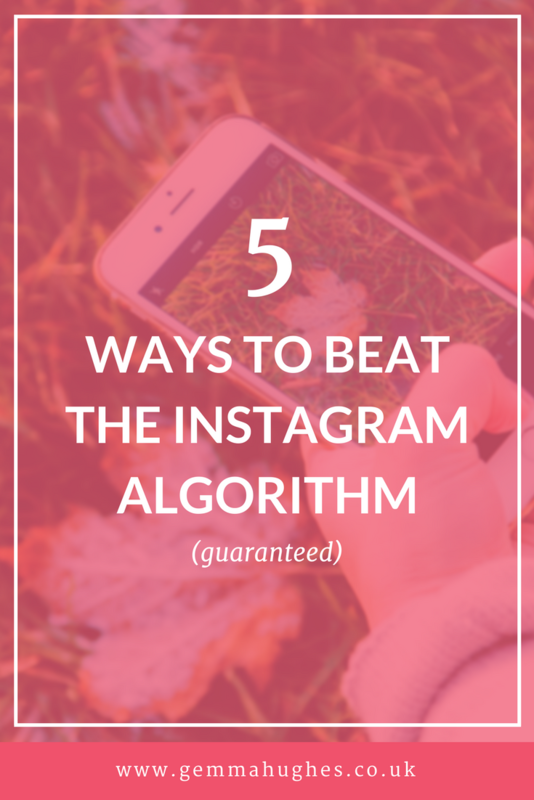 There you have it – 5 ways to beat the algorithm! How do you grow on Insta? Let me know in the comments! This is a very good blog post, as well as some very good tip that I think I will be trying out. I have been struggling to get follower on Instagram for a while. So I think this will be a good help to me. So thank you for writing this post.